Scientists claim that sirtuins, proteins, become increasingly important as people age. It is these proteins that ensure which genes should be “off” - and thereby remain silent as the ageing process continues. Paradoxically it is these same proteins that are believed to repair DNA damage as we age. The critical protein controls which genes are off and on as well as overseeing DNA repair - and there’s the rub. As we age, chromosomes get damaged and the SIR1 proteins are finally overwhelmed. It is this activity that leads to the process of aging, not time itself which moves on inexorably, unconcerned by birthdays and mankind his or herself. But can the aging process itself be slowed? Scientists are beginning to suspect so; mice with more SIRT1 proteins have the improved ability to repair their DNA and prevent the unwanted changes in genes. Resveratrol extended the lifespan in mice by 24 to 46 percent. Remarkably previous studies have shown that Resveratrol, a chemical found primarily in red wine, helps activate the SIRT1 protein. The chemical reduces the degenerative diseases associated with the aging process (such as Alzheimer’s), and certain cancers could also be treated. 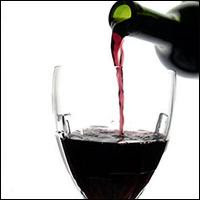 Unfortunately researchers claim that it is too early for people to start taking Resveratrol, but a glass of red wine at dinner is recommended. The question is, will we get old drinking it?